Lantern Bug: Inspiring Flowers (3) - Done! 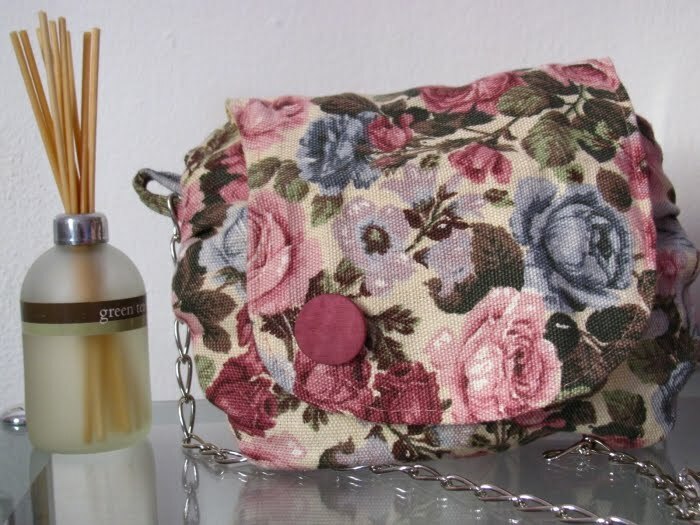 Flowerly inspired by Zara's TRF S/S '10 collection colors and patterns, this pretty shoulder bag is suitable both for your daily routine and for special occasions. Nice would result matching it with a beige dress or coat, and even better would be a flower-themed hair slide! The outer part is made entirely of tough printed cotton fabric, while the lining is made of a gentle beige-colored synthetic material. Coordinated to the print, there are a particular old rose decorative plastic button on the front and a functional zipper on the inside. The shoulder strap in hardware is adjustable, as you can easily take how many bows you want off the chain. Soon loads of pictures and further details of the item!